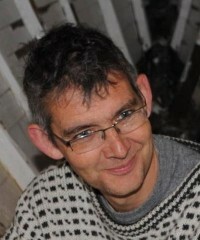 John Watkinson, designer of the Drascombe range often built plywood wooden boats as prototypes for the GRP production boats that are still manufactured today. In parallel with the GRP production boats a number of boatbuilders built to the wooden plans until about 1995. If you want to know a bit more about Drascombes then the Wikipedia entry is a good place to start. A potential client approached me in Autumn 2010 asking if it was possible to build a wooden version of a Drascombe Scaffie. After a bit of digging about it was clear that what he wanted was a Drascombe Peterboat. There are significant differences between a Peterboat and a Scaffie but they are both double enders, 4.5m long (although Peterboats can also be longer) and they share a common rig. Following negotiations on the normal points (like money and spec) and discussions with Kate Watkinson to confirm that the plans would be available I got the client signed up for the project and started work in December 2010. By early March 2011, with the worst of the winter over, the boat is ready for fairing and fettling. By the end of March she is ready for collection. Some of the build photos are available as a Slideshow. I have continuously been told that plans for the Peterboat are NOT available to build from ? Drascombes have (nearly) always been licensed to professional builders. 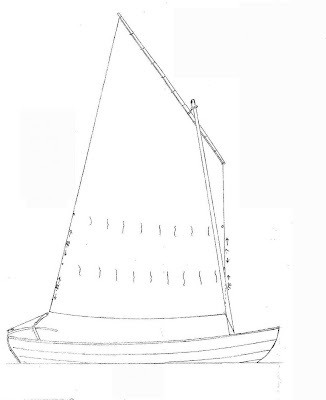 The one exception is the 6m Peterboat which was re-drawn by Iain Oughtred for the Woodenboat publication “30 wooden boats. I understand that these plans are no longer available. The Watkinson plans saga is one of the strangest situations in boat building. Good luck with it …Looks like I`m going back to my original plan , building an Atkin Valgeda …. It is clearly an object of utility and beauty – fair before the fairing, and fine before the fettling…. Beautiful work! Hope there are many more clients coming. I have a set of Peterboat plans. Hope to start looking for a builder in the next year or so. Used to have a lugger and a dabber.